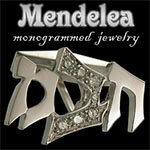 Step into the world of Mendelea - designers of fine monogrammed and personalized jewelry and wearable works of art in Judaic or English. The personalized "wearable works of art" of Mendelea reflect the collaboration of an artist and goldsmith. Mendelea, a calligrapher and fine artist, develops the abstract concepts into beautiful designs, using either Hebrew or English letters. Names, initials, monograms or phrases are elevated to a new height of artistic form through Mendelea's unique talent. 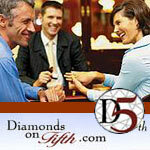 Diamonds on Fifth is the only online retailer that offers you the unique opportunity to meet with any of our experts in person to discuss and view your purchase and answer any questions you may have. 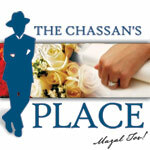 To speak with one of our diamond and jewelry consultants just call or set up an appointment. 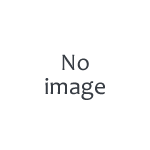 Everyday, more brides are discovering the secret for looking diamond dripping gorgeous on their wedding day. 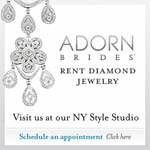 They�re renting fine jewelry from Adorn Brides. Real jewelry, real diamonds, pearls and gold all at an affordable price, and many times costing much less than a costume jewelry purchase. 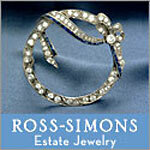 Beautiful bracelets, dazzling diamonds, luminous pearls, plus superior service and selection. 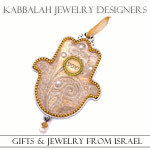 A great selection of fashion and costume jewelry.